May 21, 2012 - The Transportation Security Administration (TSA) announced it has set a deadline for passenger air carriers to conduct 100 percent cargo screening on international flights bound for the United States. Beginning December 3, 2012, all cargo shipments loaded on passenger aircraft must undergo screening for explosives, fulfilling a requirement of the Implementing Recommendations of the 9/11 Commission Act. TSA has worked closely with other governments, international organizations, and industry partners to increase the security of air cargo without restricting the movement of goods and commerce. The screening deadline announced today requires 100 percent screening of all air cargo shipments bound for the U.S. It builds additional risk-based, intelligence-driven procedures into the prescreening process to determine screening protocols on a per-shipment basis. This process requires enhanced screening for shipments designated as higher risk, while lower risk shipments will undergo other physical screening protocols. ?Harmonizing security efforts with our international and industry partners is a vital step in securing the global supply chain,? said TSA Administrator John S. Pistole. ?By making greater use of intelligence, TSA can strengthen screening processes and ensure the screening of all cargo shipments without impeding the flow of commerce.? These risk-based security efforts are one aspect of the Administration?s recently announced Global Supply-Chain Security initiative. Currently, all cargo on passenger aircraft- both domestic and international- departing U.S. airports undergoes screening. Domestically, cargo screening is conducted by air carriers or those voluntarily participating in the Certified Cargo Screening Program, under strict regulatory oversight of TSA. 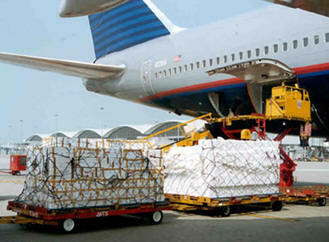 TSA has more than 500 inspectors throughout the country to ensure compliance with air cargo security regulations. In addition to its domestic inspector workforce, TSA has more than 100 internationally-focused inspectors who assess and document security measures at applicable foreign airports.